The Asian crisis of the late 1990s severely affected some of the most successful economies in the region, placing the issue of social protection high on the regional and international agenda. Subsequently, growth rates revived, but the fruits of growth have not been evenly distributed and inequality has risen. Behind this trend lie deeply entrenched forms of poverty and social exclusion as well as new forms of vulnerability resulting from the liberalisation of markets and growing exposure to the global economy. 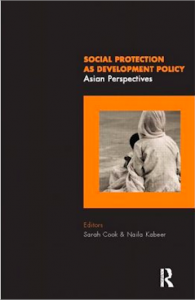 This volume deals with issues of poverty, vulnerability and social exclusion in the Asian context. The articles deal with different groups of vulnerable people, exploring some of the characteristics of vulnerability in different contexts, and reflecting on appropriate policy responses. Collectively, they emphasise a broad-based systemic approach to the problems of vulnerability and insecurity, where social protection needs to be ?rescued? from its dominant current conceptualisation as a response to risk and crisis, and instead be integrated into the mainstream of development policy.